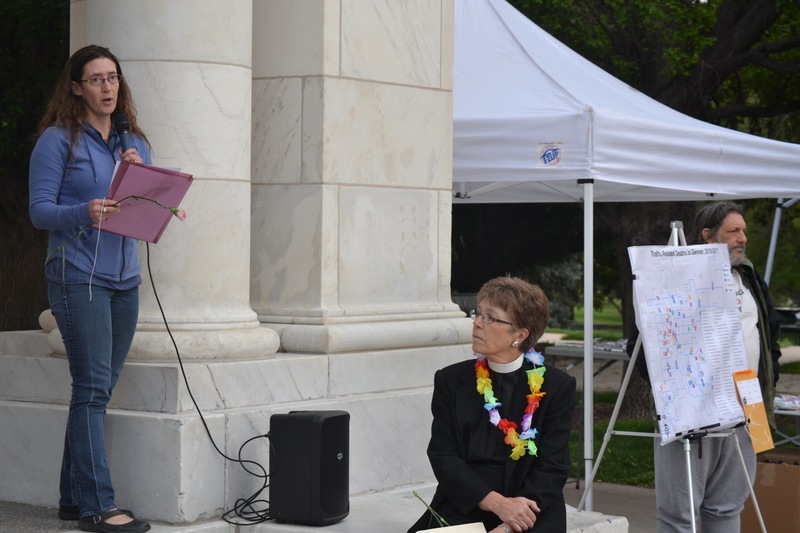 The Denver Vision Zero Coalition and people who’ve lost loved ones on the city’s poorly designed streets gathered yesterday to remember the victims, in the hope that future tragedies will be prevented. 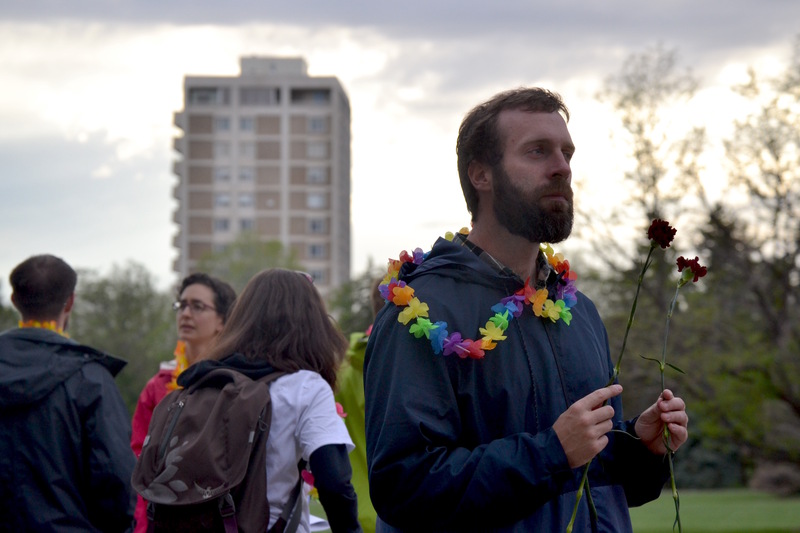 About 70 people met at the intersection of Colfax and Park on an overcast Wednesday evening, carrying roses and wearing flowers around their necks. 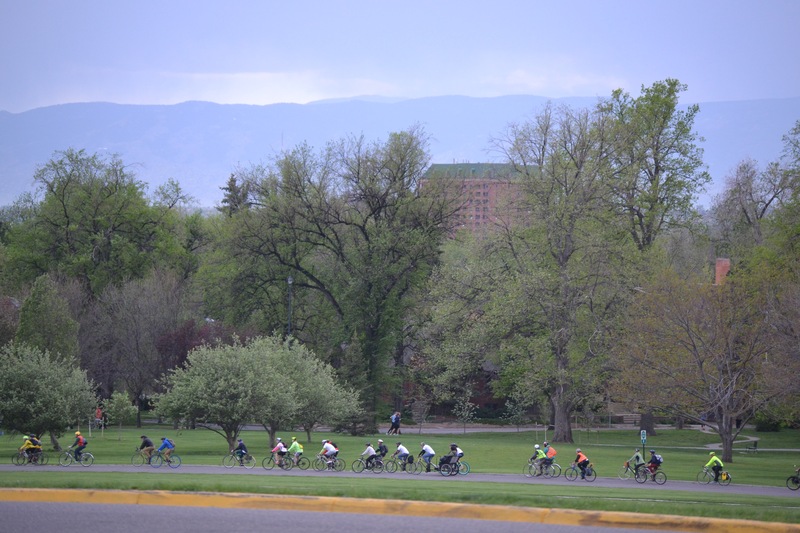 From there, they walked and biked to Cheesman Park, escorted by police officers and wrapped in silence, in remembrance of the people killed in traffic on Denver streets. 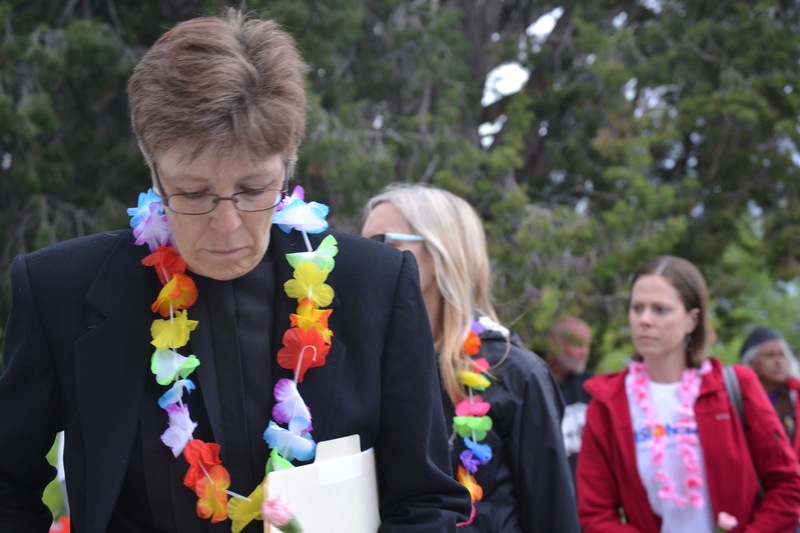 The group convened at the park’s esplanade, where Reverend Bonita Bock read the names of the 77 people who’ve lost their lives in car collisions since January 2016. 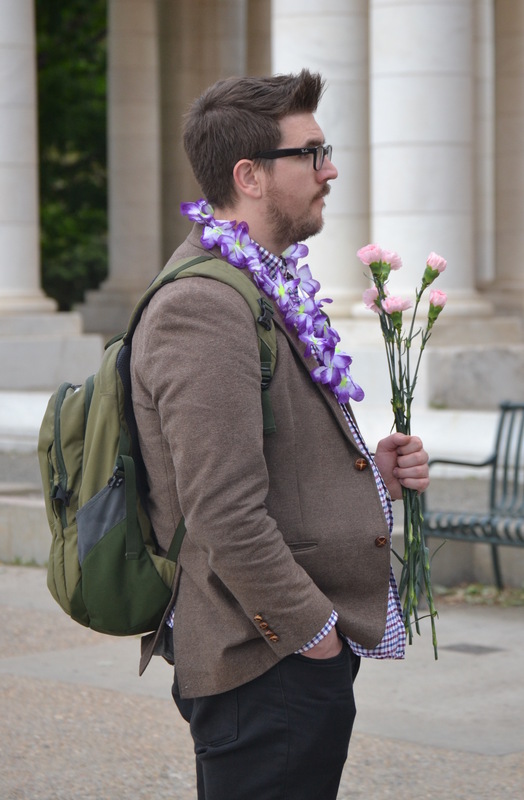 “You, whose names have been read, leave thoughts, laughter, dreams,” Bock said, before a long moment of silence. 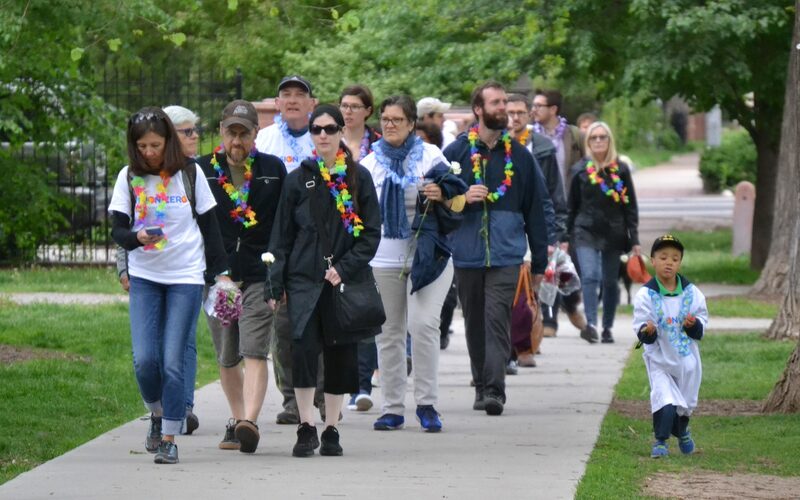 Denver’s walk and ride of silence coincided with similar events around the world. 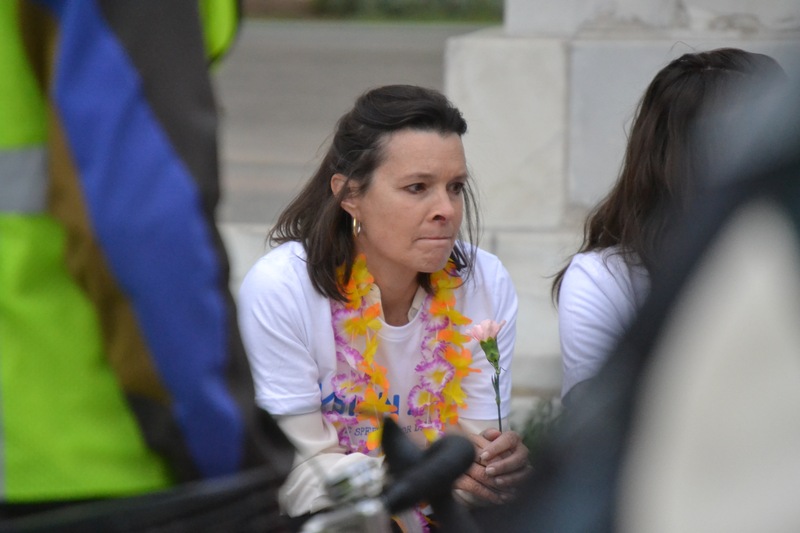 Denver resident Susan Scott, who’s son, Sam, was killed by a drunk driver while biking home from work in St. Louis five years ago, helped organize the event. 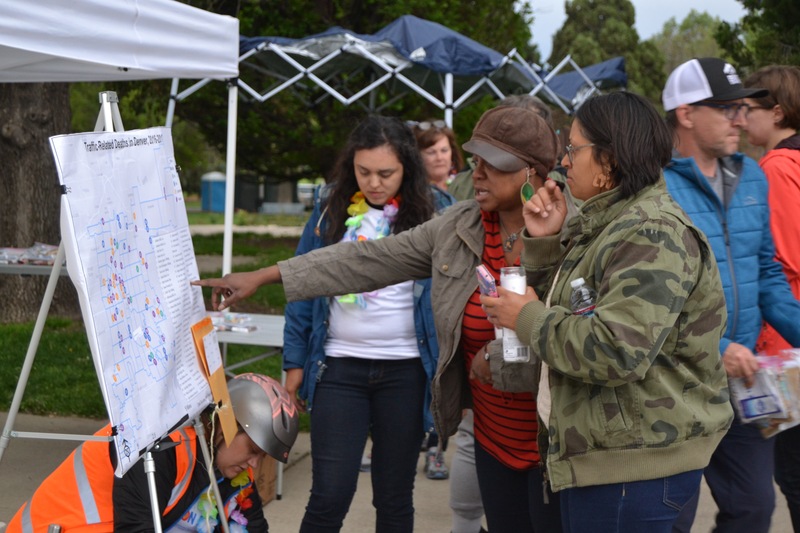 Wednesday’s memorial was also about reminding city decision makers to keep people safe with street designs and speed enforcement that prioritize the most vulnerable road users — people walking and biking. “For me, here in Denver, it’s about implementing this Vision Zero concept and the Safe Speeds for Denver campaign,” Scott said. Well over a year ago, the Hancock administration committed to ending traffic deaths and serious injuries under the Vision Zero banner. 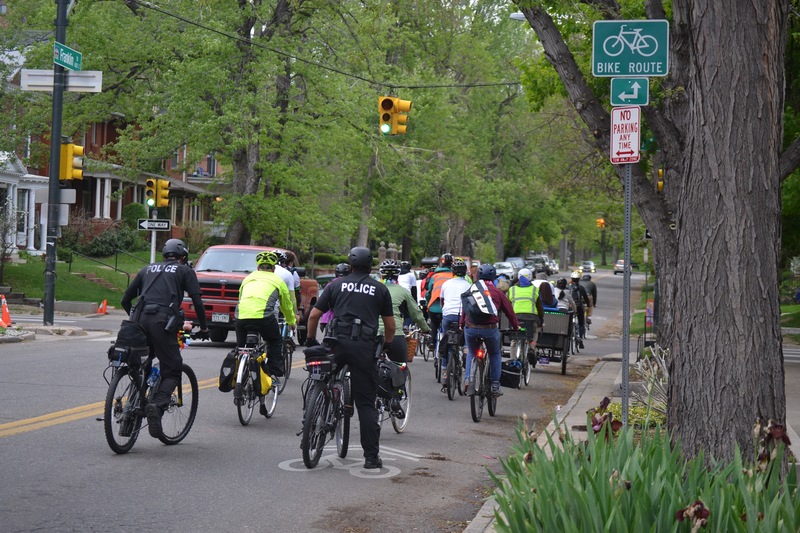 “The death toll is just unacceptable when we have the tools and the resources to prevent traffic fatalities,” said Jill Locantore, associate director of WalkDenver. Officials from Denver Public Works and the Denver Department of Environmental Health participated in Wednesday’s event, but Mayor Hancock did not attend, nor did any Denver City Council members. Here are more scenes from the evening. Have there been any concrete steps yet taken by the mayor to implement vision zero?